Beautiful design is worth the effort. A glass house in the woods nestled into the rolling hills of Serenbe, a farm-like community just outside of Atlanta, Georgia is where we currently call home. It's also where we hone and perfect our aesthetic by playing around with our own personal space. A true honor in the design community, we were thrilled to participate in the 2017 Serenbe Showhouse located just outside of Atlanta, GA which featured numerous luxury pieces and some of our favorite go-to sources for beautiful products. A rustic beauty meets chic style in this gorgeous luxe farmhouse. Filled with a mixture of soft linens, textured stone and warm woods, this residence is a serene and sensual atmosphere for lovers of an idyllic bucolic setting. Our previous condo in San Francisco is where our design passion first began. Filled with an eclectic mix of classic and modern elements this home creates a well-layered composition. Renewed, rejuvenated and refreshed is how the current mayor's home, where he lives with his family, now looks thanks to a home edit session with us. 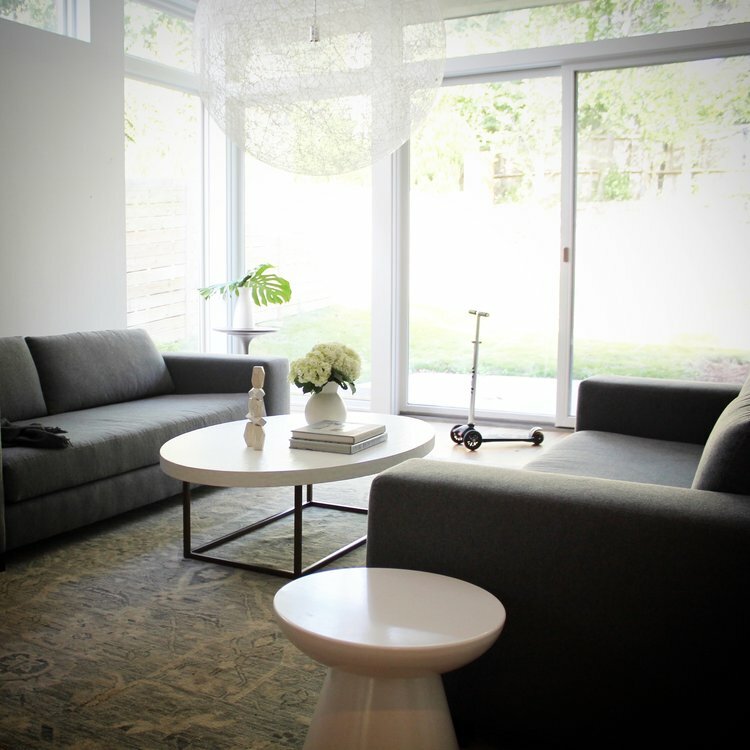 Minimalism is mixed with contemporary furnishings to make a family feel right at home in the Midtown neighborhood in downtown Atlanta. Glorious outdoor living is the name of the game at Serenbe where the neighborhood was named the "Front Porch Capital of America" by Country Living. This porch was spruced up to be befitting of the honorary title. A gorgeous courtyard in the Serenbe neighborhood brings nature right outside your door by creating a lovely outdoor space that envelopes you in deep greens and bright pops of white.